The 19-year-old Azerbaijani man claims he awoke one morning in mid-August to the sound and feel of gasoline splashing on his body and his mother angrily screaming. Through a sleepy haze, he saw her burning a piece of paper. Suddenly, he alleged, his mother’s intentions became clear; he was about to be burned to death for being homosexual. The story, recounted to EurasiaNet.org by the man, who calls himself Malik to protect his identity, forms part of a disturbing pattern of abuse and mistreatment of LGBT individuals in this Caspian-Sea country. For now, the government doesn’t appear interested in trying to address the issue -- even though the country currently chairs the Committee of Ministers of Europe’s foremost human-rights body, the Council of Europe. 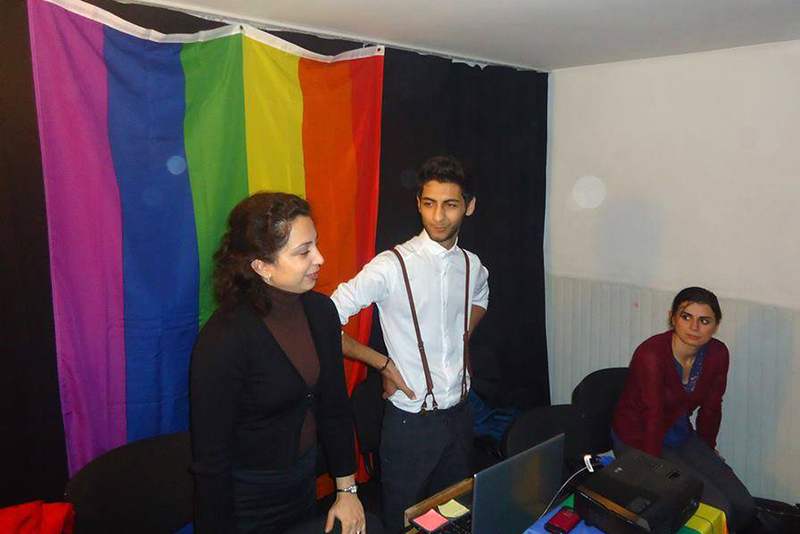 Unlike in many Muslim societies, Azerbaijani law does not prohibit homosexuality, bisexuality or transgenderism. However, the level of disapproval that exists in this tightly knit society is high, and that places a heavy burden on LGBT Azerbaijanis, some say. Fifty-five-year-old Babi Badalov, an openly gay artist, left Azerbaijan for the United Kingdom eight years ago after his brother threatened to kill him for being homosexual. He blames such attitudes on the country’s 71-year Soviet history, when LGBT issues were never addressed. Consequently, “for his own safety,” a gay man “constantly” has to think about “what to wear so that he does not look different,” or otherwise attract attention, he claimed. Many Azerbaijanis often presume that men who wear an earring or unusually colorful clothing are homosexual. Defying such notions, Badalov said he opted for an earring. A recent university graduate with a degree in education, Leyla says that she nonetheless dresses as a man when she applies for teaching positions. She did not detail how she distinguishes between male and female clothing. The topic generally is not one for any form of public discussion, including by imams. Allegations of homosexuality, however, have been used as part of smear-campaigns against opposition leaders. Media and human-rights activists have paid relatively little attention to these problems. The Azerbaijani Commissioner for Human Rights’ Office could not be reached for comment on LGBT abuse. For many, the January 22 suicide of 20-year-old Isa Shahmarli, the head of the LGBT group Azad, illustrated the dangers involved in looking the other way. In a Facebook message before his death, Shahmarli blamed society at large for his suicide. Yet one 32-year-old lesbian, who declined to give her name, stopped short of calling life in Azerbaijan as a LGBT person “a tragedy.” At least no public calls for violence against LGBT Azerbaijanis have been made, she explained. “But it is not OK at all,” she emphasized. After years of confronting hostility, however, she simply no longer expects tolerance.